KITCHENER, ON – Brick Brewing has announced details of the latest release in the Small Batch Brew Series from its Waterloo Brewing division. With cooler temperatures, people become more interested in fuller, richer flavours in their food and drink. Waterloo Spiced Dunkel brings together the spices of Autumn – cinnamon, ginger, nutmeg and cloves – with a classic German Dunkel. It’s an all malt, mahogany craft beer with a subtle vanilla and spiced finish. 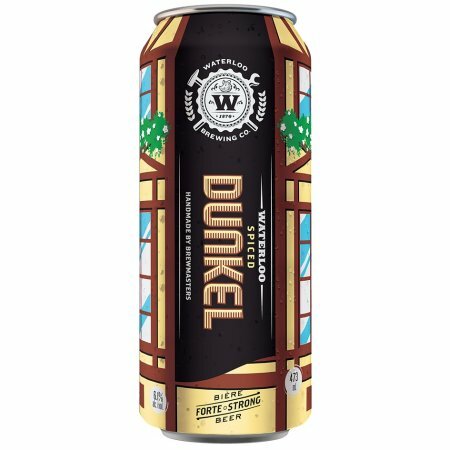 Waterloo Spiced Dunkel will be stocked at LCBO locations throughout Ontario, selling for $2.75 per 473 ml can while supplies last. It’s also available in cans and growlers at the Brick/Waterloo retail store.